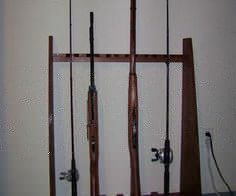 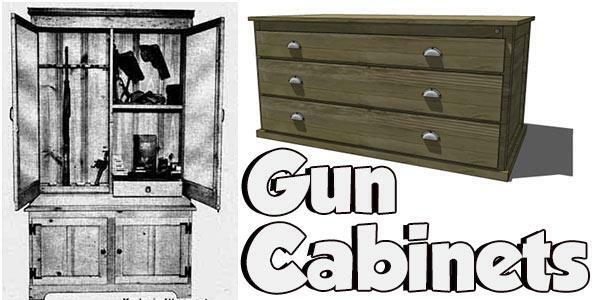 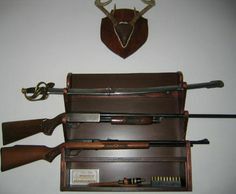 Whether you need a simple wall rack or a substantial cabinet, here are gun cabinet plans for storing all your firearms. 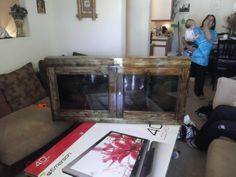 You’ll have a hard time deciding on just one storage solution and you’ll find many attractive cabinets and racks that you can adapt to blend with your space. 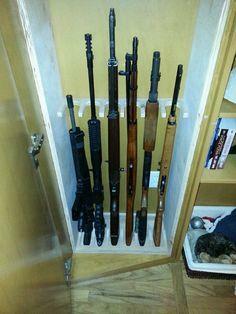 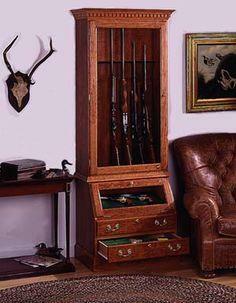 Build a beautiful piece of furniture with a glass-front storage cabinet that holds all your rifles safely and securely. 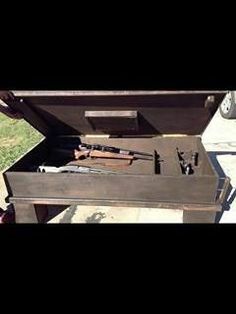 You can also create a secret gun cabinet with our gun storage coffee table that keeps your collection safe from prying eyes. 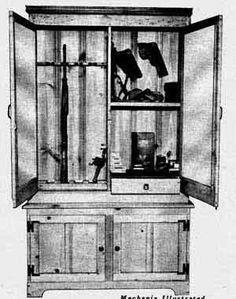 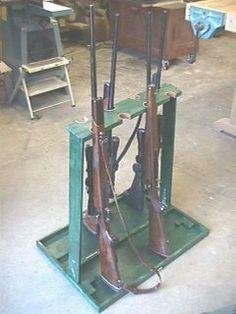 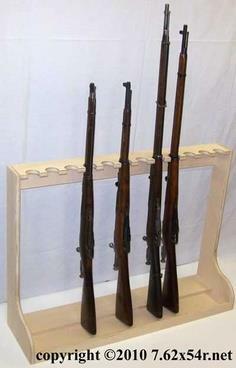 There are also gun ammo boxes to keep your powder dry and simple plans to build a portable field rifle rack that folds up like a suitcase. 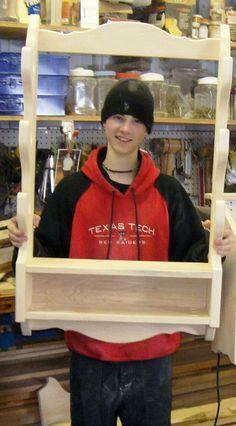 Suggested materials include pallet wood, reclaimed lumber, plywood, dimensional lumber and MDF board.